I know it’s not “right” to have a blog that is not specific to one thing (so “they” say….the blog “experts” that I have never met in real life). However, I am not sure have enough to say about one specific topic (this may not be completely true, but as people I really know may come across this blog one day, it may be in my best interest to not comment on those topics that come to mind). So I tell you now, I am going to break these so-called rules. In the meantime, I really need to figure out how to make my OWN captions & gifs from movies and all that fun stuff that all of you out there know how to do. Suggestions? I am dying to create the awesomeness that I have seen floating out there! I need a mentor. Until later, here is something to tide you all over. 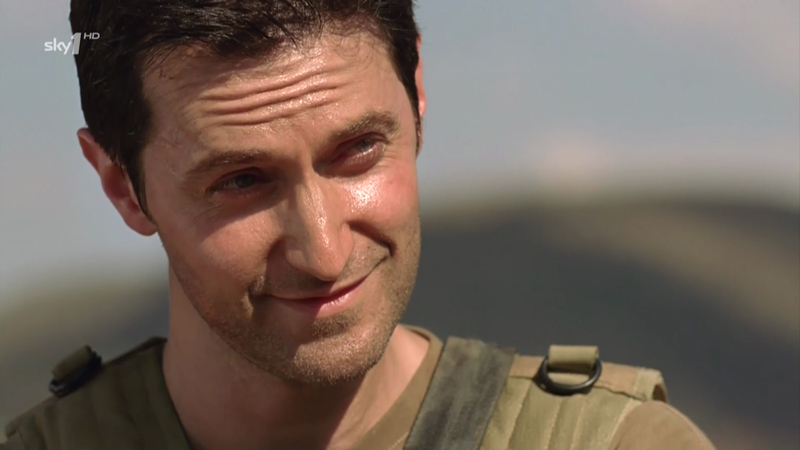 This entry was posted in Richard Armitage, Writing and tagged Richard Armitage, Writers Block, Writing. Bookmark the permalink. I think that if what you want to do is write, whatever gets you writing is what to write about … so challenge away. I think people love reading these and I agree some of those questions are much more difficult than they appear initially.